During its long history the Club has not only contributed to a lot of charities, it has also founded a lot of well known New Zealand non-for-profit organisations. 1945: Established the Obstetrical and Gynecological Committee, which led to 100,000 pounds ($200,000) being raised to endow a Professorial Chair in Obstetrics and Gynecology at the University of Auckland and eventually to the establishment of National Women's Hospital in Auckland. 1945: by this time 10 members had served overseas, the Club had organised 22 new clubs and in conjunction with some of them helped to organise another eight. The post-war period saw the Club grow to 300 members and the sponsoring of the establishment of what are now some of our strongest sister clubs including Newmarket, Pukekohe, Onehunga, and Otahuhu. 1955: 50th Anniversary of Rotary International in 1955. 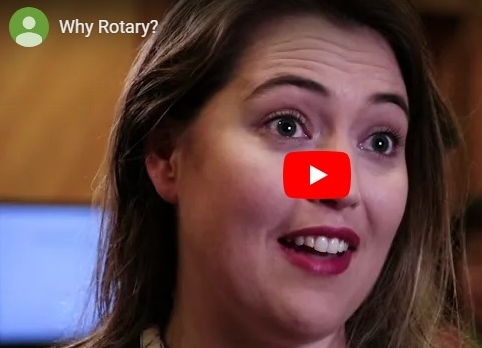 The District Golden Jubilee Committee developed ROTA (Rotary Overseas Travel Award), which was so successful that it was subsequently adopted by The Rotary Foundation and adapted to become the Group Study Exchange, still one Rotary's most successful international programmes. 1961: Outward Bound: The Club's Youth Committee project with the support of the Governor General, Viscount Cobham, and others became known as The Outward Bound Trust. It continues today a characters-building adventure training for young people. Assisted in establishing the Maori Youth Centre. Trophy of Tradition for the nurse exemplifying the spirit of the nursing profession. 1994: The Ellerslie Flower Show, an event to raise funds for charitable work on an annual basis, was estbalished. It became a nationally and internationally acclaimed event. In 2004 it was sold, after having distributed $645,000 in surpluses for local charities. 1996: The club helped establish TYLA - Turn Your Life Around – programme. It is a year long course supported by the police that aims to make a positive difference to the lives of at-risk youths. 1997: Books for Babes project began. Club members sought to put resources into the local community for early health and wellbeing. Books purchased by the Club were distributed with ideas on how to read to very young children through the Well Child initiative. The project now extends across many parts of Auckland with support from Auckland City Libraries and of various visits and reading programmes. Throughout the years the Club has continued to support the charities and organisations that it supported in its early years, like the YMCA, Plunket Society, and Salvation Army. As the Club heads towards its centennial in 2021, the changing face of Auckland requires new approaches towards meeting the goals of the Club through the various avenues of service. Its core objective however will remain to be "service above self" and supporting the local community.